Matching white shirts? Check. Belted, tapered, acid-washed, high-waisted jeans? Check. Loafers without socks? Check. Everyone up in a tree? Check. Ok, now grab the shoulder of the person in front of you, turn to the camera and give us your stiffest smile. Awkward family photo accomplished! ABC has offered up family photos of all of their Wednesday night comedy families, but The Goldbergs takes the prize for going full-on 80s, in typical Goldbergs style. That includes matching outfits and a ridiculous setting to rival sone of the actual Awkward Family Photos that the 1980s created and the internet has since delivered back to us, like a virtual time machine, complete with laser beam backdrops and teased up bangs. 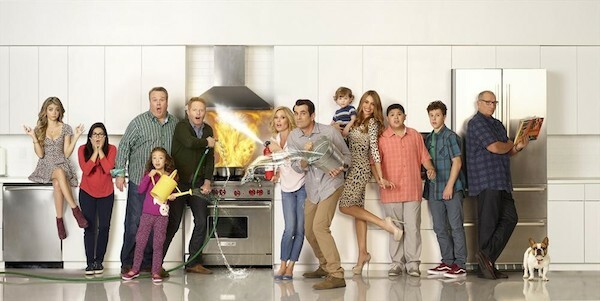 As ABC's returning comedy The Goldbergs is set in the 1980s, the above photo works nicely in showing off the characters and emphasizing the setting. For reference, last year's family portrait also included matching outfits, which included some impressive (and totally-Cosby) colorful sweaters. It's especially exciting to see The Goldbergs together in a family photo, when set in the context of these three other family photos, which represent two hours worth of family-focused comedy for ABC on Wednesday night. The Goldbergs aired on Tuesday night last season, but ABC is shifting it to Wednesday, where it will hopefully thrive set between The Middle and Modern Family. It looks like this family's having a much easier time with their grill than the Modern Family is in their kitchen. 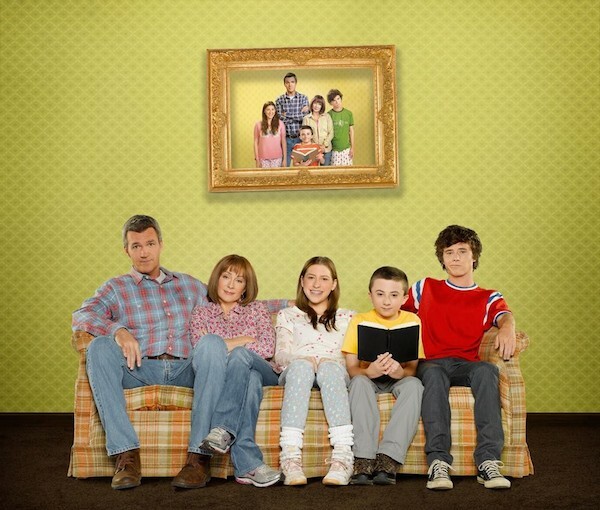 Beginning September 24, ABC's Wednesday night starts with The Middle at 8:00 p.m., then The Goldbergs at 8:30, followed by Modern Family at 9:00 p.m. and then new comedy Black-Ish at 9:30 p.m.